The World Championship leader escaped unhurt from a crash that happened on Saturday morning during the last practice session for the Austrian GP. The crash was suspected due to mechanical failure on his Mercedes car. 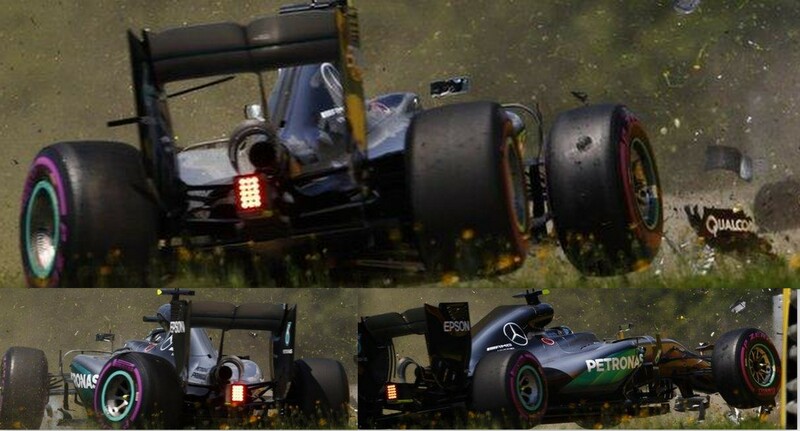 The left rear suspension of his car broke as he ran over the kerbs on the exit of Turn 2 at the Red Bull Ring. The car hit the wall nose first, spun along it and was badly damaged. Though the German star escaped unhurt but will be given a five-place grid penalty after the damage done to his car required a gearbox change. Mercedes boss Toto Wolff described the incident as “very strange” with Rosberg’s car suffering an apparent suspension failure. Rosberg had dominated Friday’s practice sessions with the fastest lap at the scenic circuit nestling in the wooded Styrian hills but his hopes of a third successive Austrian Grand Prix win took a hit as he incurred a five-place grid penalty. Championship leader Rosberg is the only driver to have won in Austria since the race returned in 2014 after an 11-year absence. His crash has also given advantage to Vettel, who was already quickest at the time of Rosberg’s accident and with his time of 1:07.098 being the fastest of the weekend so far. Rosberg’s team mate Lewis Hamilton was third quickest after admitting on Friday that he is not quick enough around the Red Bull Ring, with the defending champion 0.210s slower than Vettel on his late lap.